The economy affects all of us. Hence, it is important to keep a finger on its pulse and constantly check where it is headed. Unfortunately however, that is easier said than done. Hundreds of economic reports and surveys are published every month, each of them including dozens of economic indicators and statistics. If you are not an expert, the vast amount of available information can become quite overwhelming sometimes. In that case it is more reasonable to narrow your focus down to a select few of all the indicators available. 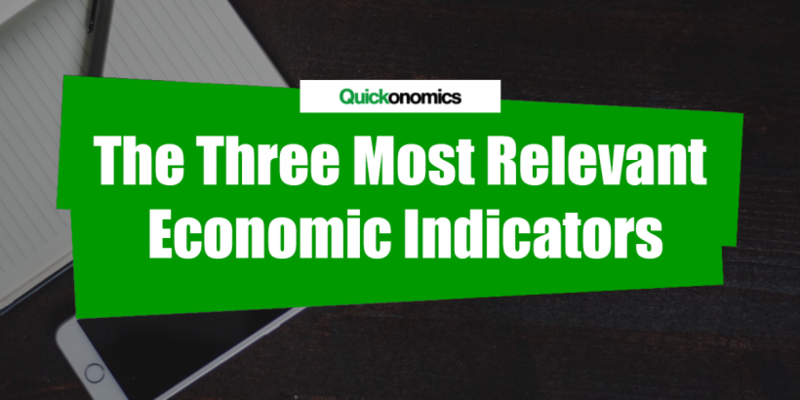 To get you started, we have summarized the three most relevant economic indicators below: GDP, Consumer Price Index, and Employment Statistics. However, please keep in mind that this does not mean they are the only ones that matter. 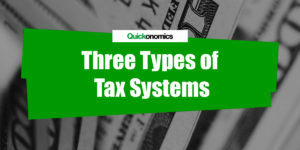 We are only highlighting them because they are best suited to give you a good first impression and a basic understanding of the current state and health of the economy. So let’s look at them in more detail. The Gross Domestic Product measures the total value of all goods and services produced in an economy over a specific period of time. It can be measured in nominal or real terms. For now, we are only going to look at the real GDP. The reason for this is that the real GDP is adjusted for the effects of price changes, whereas the nominal GDP is not. This adjustment makes it easier to compare the growth and performance of an economy over multiple years. GDP is most commonly used to identify general trends in the economy (such as booms or recessions). The Federal Reserve and other Central Banks regularly use indicators such as GDP to adjust their monetary policy. As a rule of thumb we say that an economy falls into a recession if GDP drops for more than two consecutive quarters. GDP data is released quarterly by organizations such as the U.S. Department of Commerce’s Bureau of Economic Analysis (http://bea.gov), the OECD (http://www.oecd.org/) or Eurostat (http://ec.europa.eu/eurostat). In addition, these organizations often provide explanations of why certain changes in GDP happened. Perfect, if you are trying to learn more about the economy. The CPI describes the changes in individuals’ cost of living within an economy. It is measured by comparing the price changes of a representative basket of goods and services over time. The basket includes several hundred goods and services from a wide range of different categories, such as food and beverages, shelter, clothing, medical care, professional services and so on (see also Calculating Consumer Price Index). The annual percentage change in the CPI can be used as a measure of inflation. 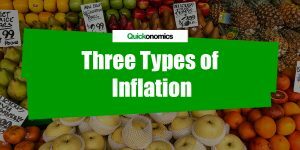 Inflation describes the rate at which the level of prices for goods and services increases within an economy on a yearly basis. A high rate of inflation affects consumer purchasing power, because they can buy less with the same amount of money. In other words, the money loses part of its value. However, a moderate level of inflation is generally considered beneficial though, as it can encourage people to spend more and borrow more and thereby ultimately drive economic growth. CPI data is released monthly by the U.S. Department of Labor’s Bureau of Labor Statistics (http://www.bls.gov/). Meanwhile, the European Union has developed its own specific consumer price index – the Harmonised Index of Consumer Prices (HCIP). HCIP data is also released on a monthly basis by Eurostat. Employment statistics contain information about employment, unemployment, and wages across most industries within an economy. There are often separate statistics available that measure employment and unemployment rates by gender, age, or educational level. Employment rates are important because they are one of the earliest indicators of economic trends. If people lose their jobs, their purchasing power decreases and the economy loses a factor of production. Hence, if unemployment rates in a certain industry sector increase, this can point to potential problems that need to be addressed. Correspondingly, if unemployment rates decrease, it is a sign of a well-working economy. Employment data is released monthly by the U.S. Department of Labor’s Bureau of Labor Statistics as Current Employment Statistics (CEM). Within the European Union, Eurostat provides an extensive selection of employment statistics, also updated on a monthly basis. It is important to keep a finger on the pulse of the economy and constantly check where it is headed. 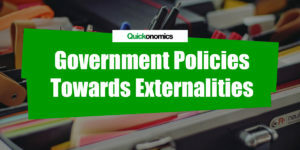 If you are not an expert, you can develop a good understanding of the economy by looking at the three most relevant economic indicators: GDP, Consumer Price Index, and Employment Statistics. GDP and Employment Statistics can be used to identify general trends in the economy (i.e. booms or recessions), whereas CPI is a measure of inflation.